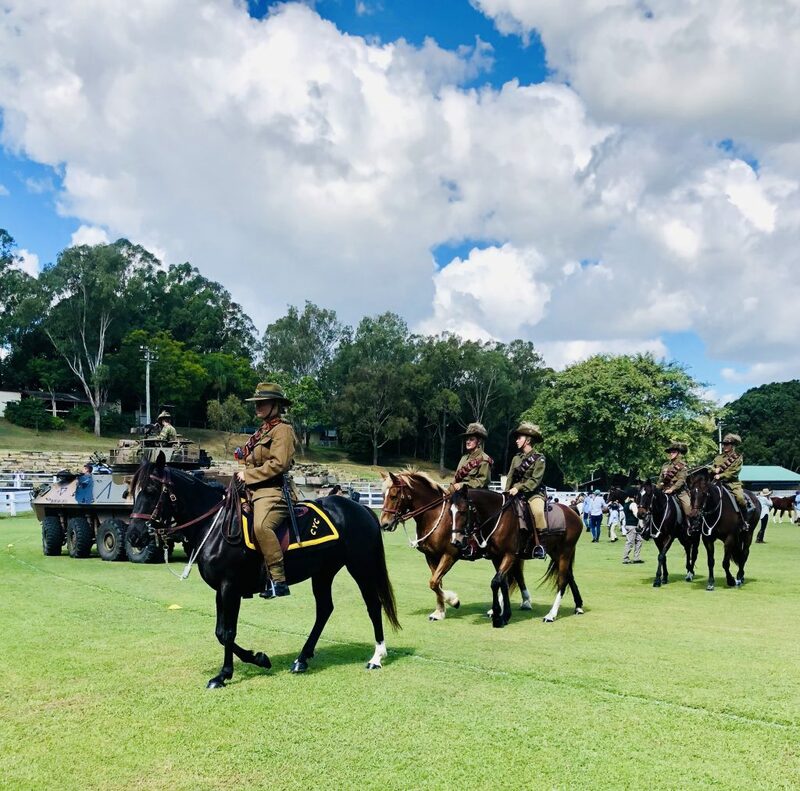 Brookfield Pony Club has again been asked to participate in this year’s ANZAC day remembrance event at the Brookfield show grounds with a led troop of Pony Club horses and ponies. This re-enacts the donation of horses to the war effort, with local horses being led to the grounds for recruitment. The day’s activities are based around the Shell Green cricket competition and commemoration event being organised by the RSL and Brookfield Cricket Club on Anzac Day at the Brookfield Showgrounds. This event acknowledges the Shell Green cricket match played at Gallipoli during preparations for its evacuation, the contribution of Sri Lankans who fought alongside the ANZACs, the history of the local community’s commitment to supply horses for the war effort, and the sacrifice of past Kenmore State High student Mathew Hopkins who was killed in Afghanistan in 2009. Pony club members lead their horses in pairs in a troop line led by members of the Light Horse, and stand behind the Army XI and Brookfield cricket teams along with Armoured Vehicles for the remembrance, including recital of the Ode and the Last Post. It’s a very moving and special day to be a part of. Please RSVP to Jacquie at www.jwillsford@yahoo.com so we can get a gauge on numbers and the amount of float parking required.